Article provided by: Marius Ceteras, Valer Eugen Demian, Vladimir Salceanu and Olimpiu Urcan, updated by Miron Sferle. Parts from this presentation have also been published in the Internet based magazine ”Correspondence Chess News” issues 68 and 71 from 2002. In 1963 the 1st ever-organized CC Championship of the Popular Republic of Romania recorded the name of the first winner: Vladimir Salceanu. This could arguably be considered one of the strongest CC tournaments ever organized in Romania, with several top OTB players not able to qualify past the semi-final groups. 3 GMs: Mihai Breazu, Paul Diaconescu and Gheorghe Rotariu. 9 IMs: Aurel Anton, Eugen Costea, Valer Vasile Demian, Gheorghe Martin, Emil Mende, Edgar Nacht, Vladimir Salceanu, Mihai Suta, and Gheorghe Telbis. 3 LMs: Ecaterina Radovici, Rodica Reicher-Iacovescu and Veturia Simu. Two of the above players managed to win the European Championship: Aurel Anton co-winner of the 9th edition and Vladimir Salceanu winner of the 59th edition (source “Chessmail”). 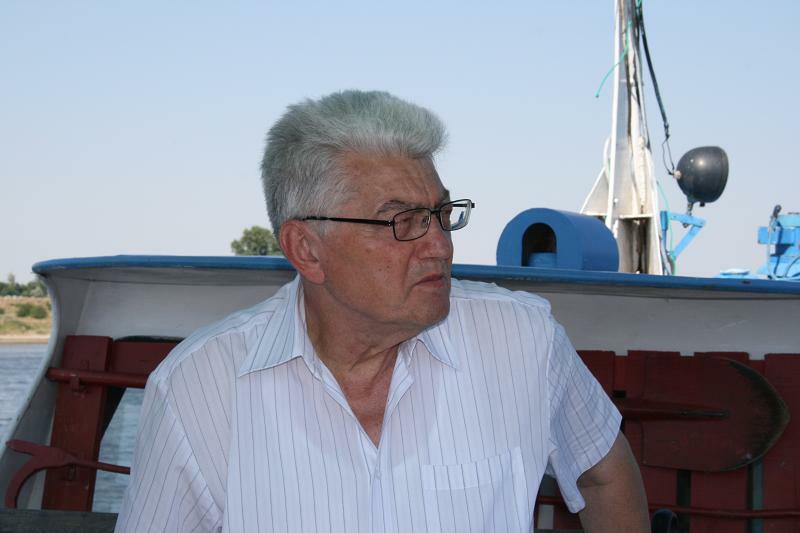 – In 1990 he was the founder of Romanian National CC Commission. Unfortunately the people put in charge would prove not equal to the task of developing his work into a successful federation. The legacy left by our predecessors demands the best from the new generation. Seeing Vladimir becoming the European Champion in 2002 makes us proud and also gives us hope that hard work will be rewarded. Please allow us to conclude this presentation with a nice piece of writing coming from an author representing the new generation. I was visiting again this quiet Transylvanian city, like a romantic man returning to his first love over and over again. A superb day of autumn with incredible colours around me and a few moments of free spirit time guided my steps to the local coffee shop. I already knew it was the regular meeting place of well-known local chess masters and amateurs, as well as young poets, artists, or university students. Coming through the door, I noticed something unusual that day: at one of the tables, a pair of retired people, a little old man and his lady, were engaged in an odd chess game in which the result seemed inevitable. Grandpa had an all around elegance and a calm expression despite the rather inappropriate strains of music that I recognized to be the voice of the legendary Edith Piaf. I advanced to the bartender and ordered my coffee, with my interest now directed toward the position played by those two. It seemed to be the ending of an extremely sharp tactical battle; this idea came as a surprise to me and I decided to sit at a nearby table to follow the game. Both players were not looking like much of a challenge, plus grandpa clearly had very little chance to save his White position. I looked at the game for a few more seconds. Satisfied with my assessment, I concentrated my attention on obtaining the desired mix of coffee and milk. All of a sudden, my sixth sense gave me a brief warning signal: I’ve seen this position before, but when and where? Hmm… Looking again at both players, I dismissed the signal; there’s no way these guys could have known this position, right? After all, we were sitting in a coffee shop with two unlikely players – grandma who seemed much more interested in the ashtray on the table and grandpa with a delicate smile, perhaps looking for the fastest way to end the game. It seemed there was no hope whatsoever for the White player. Obviously grandpa’s words had the desired effect. The young man had a short discussion with his friends and agreed to play as Black with one condition: the stakes – double or nothing! Grandpa agreed with a short gesture and grandma delicately moved away emptying the chair for the new combatant. The entire group of friends formed a curious, excited crowd. They were all ready for this unexpected show, with the young man bursting with confidence and pleasure at the chance of winning that money under such easy circumstances. On my part, all those preparation helped me successfully finish my mental search; I already knew the answers about that position! The next few moves were made in a blitz tempo, the audience struggling to follow the events. One of the waitresses went to the bar and informed the bartender: “I don’t understand anything anymore”. People in the crowd, some of them pretty good chess players, were starting to look at grandpa with admiration: he was going to get his Queen back! As the game progressed, they realised he had no intentions of continuing that way. Some were very intrigued by this move. However the young man obviously knew already that 4.g8£+ … would have been followed by 4…¥f7, with Black taking the initiative. The crowd quickly gathered a couple of Queens from a nearby board, interrupting that game which was nowhere near as exciting as this one. By now, everyone –chess players or amateurs alike– was deeply enthralled by this game. What a sensational move! It was becoming clear to a lot of people that now we were at the climax of the contest. Oh, how far away from the truth this impression was. The young man was clearly shaken by the move; he took his time to analyse all consequences. A few minutes later his face showed calm and determination; it was not so bad after all. The crestfallen young man finally realized that checkmate was inevitable. He had no choice but to resign, shake grandpa’s hand and pay the bet. Amidst the silence, grandma and grandpa took their coats, smiled politely toward the bartender and waitress and stepped outside. I quickly gathered my things and left the coffee shop, now full of noisy analysis of the game just ended. Grandma and grandpa were walking happily not far away in front. The autumn sun was caressing them like a mother does to her favourite children. I approached them and said with a friendly tone: “Dogorov 1968!”. Grandpa looked into my eyes, smiled back and replied: “Dogorov of course, but 1969!”. We shook hands and went in different directions. I continued my walk for a while. It was obvious grandma and grandpa planned this all along: choose a famous endgame study from the 1960s and wait for the ignorant player to fall into their trap. I was lucky enough to know that position since my interests lie in looking at women, chess, positions with lots of Queens on the board and the love life of World chess champions. However everybody else got their lesson that day, in that quiet coffee shop and with an unexpected teacher who was refusing to live his life far away from the surrounding World. This new generation had the chance to learn the hard way how the lack of knowledge makes you pay! The legacy left by our predecessors demands the best from the new generation. When Vladimir Salceanu became the European Champion in 2002 his achievement became the defining bridge between our rich past and future full of potential. During the past 10 years correspondence chess in Romania has followed an upwards trajectory in respect to the number of tournaments and players involved. This was possible as a result of hard work and enthusiasm of a number of individuals behind the scenes. The list of names could be quite long, so I will limit myself to mentioning just a few important ones. 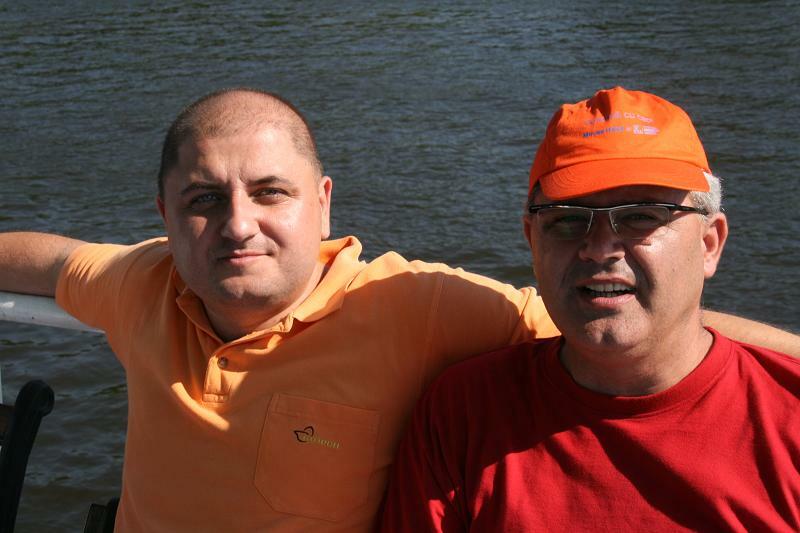 • Romania’s National Chess Championship (internet) started in 2003 by email and continued on the ICCF server. Today we have reached the 9th edition. • Romania’s Cup and Romania’s National Chess Team Championship have moved on the ICCF server as well. • Romania’s National Chess Championship (by post) has reached its 43rd edition and the last one. After 2010 all these championships are taking place on the ICCF server. ICCF-IM Valer Eugen Demian has maintained a good connection with his friends and former federation ever since he immigrated to Canada. 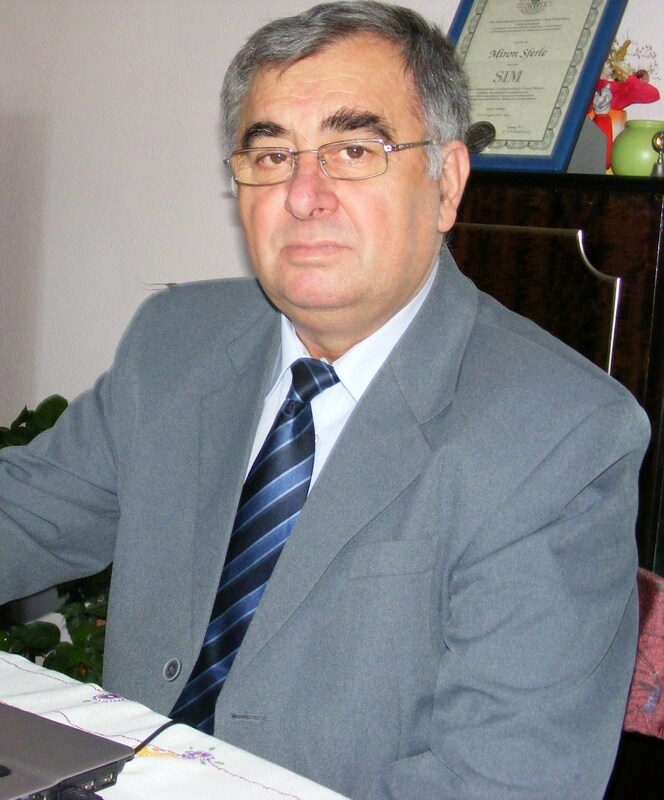 His focus has been to improve the communication with all levels of ICCF, as well as to reconnect Romania with new and old friends from around the globe; as a result Romanian players began to participate in numbers at all levels and in all important ICCF tournaments either individual or team play (friendly, Olympiad, ICCF Champions League and others). On the international stage Romania has become active again by organizing a number of strong tournaments such as (also see Milestones below): Diaconescu Memorial (5 sections) back in 2003, Romanian Chess Federation – 80 years in 2005, Romanian Chess Federation – 85 years in 2010, plus CSU Craiova club – 10 years still in 2010. These tournaments presented real opportunities to a large number of Romanians to strengthen their play and achieve success by obtaining ICCF titles, winning tournaments or qualifying to the highest levels of competitions. 5 GMs: Mihai Breazu, Paul Diaconescu, Gheorghe Rotariu, Florin Serban and Costel Voiculescu. 9 SIMs: Ioan Calin Chiru, Daniel Cinca, Boris Gusan, Zsolt Karacsony, Cornel Matei, Octavian Moise, Liviu Neagu, Vladimir Salceanu and Miron Sferle. 16 IMs: Aurel Anton, Radu Breahna, Viorel Calugaru, Sorin-Marius Ciucurel, Eugen Costea, Viorel Craciuneanu, Mircea Dabija, Valer Vasile Demian, Mihai Florea, Stefan Lakatos, Gheorghe Martin, Emil Mende, Edgar Nacht, Miron Nacu, Mihai Suta and Gheorghe Telbis. Team Romania (Vladimir Salceanu, Radu Breahna, D. Grosu, O. Moise, D. Hagelstein, M. Nacu) qualifies to the final of the 1st Email Olympiad. Vladimir Salceanu becomes the European CC Champion after winning EU-FSM/59 (1996 – 2002) with 11/14. The start of the first international friendly match by e-mail between a Romanian team called “All Romanians”, organized by Marius Ceteras and Valer Eugen Demian. 1 domestic one played by post. Participants from 18 counties took part in this event. The first Romanian Email Championship starts with 37 entries in the Semi-finals groups. Octavian Moise wins the 1st Balkan Invitational Championship, played by email. Team Romania (Florin Serban, Daniel Cinca, Calin Ioan Chiru, Viorel Calugaru, Constantin Enescu, Almos Szabo, Stefan Lakatos, Cristian Campian) wins the 3rd Semifinal of 7th European Team Championship and qualifies to the Final. The Romanian Team (Zsolt Karacsony, Calin Ioan Chiru, Octavian Moise, Miron Sferle, Viorel Craciuneanu, Miron Nacu) finishes on 2nd place the 2nd Semifinal of 17th ICCF Olympiad and qualifies to the Final. Florin Serban wins the 5th group of Candidats Tournament and qualifies to the 26th World CC Championship Final. Liviu Neagu wins the Semifinal 1 of the 33rd World CC Championship Final and qualifies to TC. The Romanian team (Ioan Calin Chiru, Octavian Moise, Mihai Florea, Elemer Karacsony, Iulian Necula, Gavril Berecz, Gheorghe Dobrei, Marin Zlatariu) finishes on 4th place the 1st Semifinal of 8th European Team Championship and qualifies to the Final. The Romanian Team (Cornel Matei, Daniel Volovici, Liviu Neagu, Costel Voiculescu, Mircea Bucur, Iosif Mathe) finishes on 2nd place the 4th Semifinal of 18th ICCF Olympiad and qualifies to the Final. Florin Serban is awarded the title of ICCF-GM. 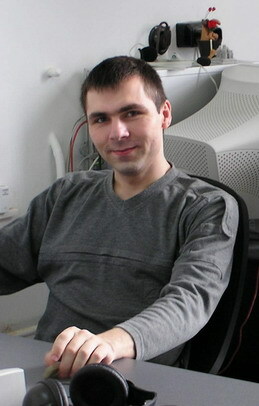 Costel Voiculescu achieved his second GM norm and ICCF-GM Certificate and Medal will be awarded at the 2012 ICCF Congress.